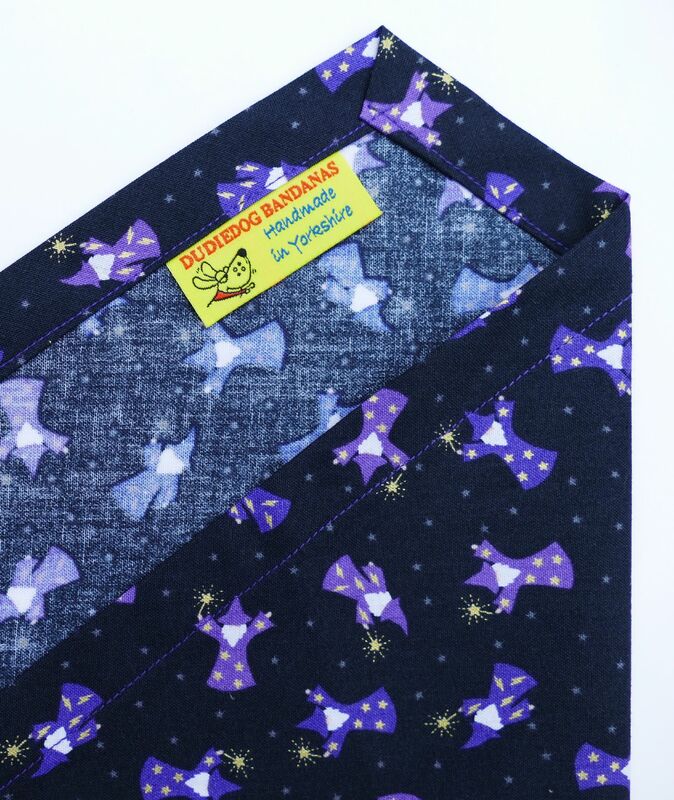 A fabulous super-premium Magical Wizard dog bandana with gold embellishment! This is the perfect accessory for any special dog! 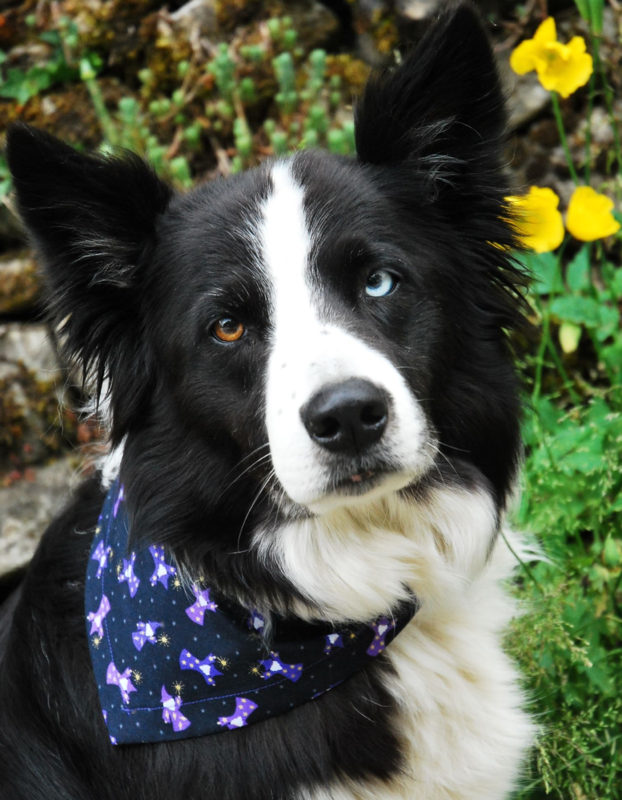 An truly stunning Wizard dog bandana from our new Super-Premium range of Magical and Mystical designs. The design has little Wizards on a very dark grey background (nearly black!). The wizard's wand is metallic gold, as are the stars and lightening strikes on his purple gown! Perfect for any dog! A gorgeous, super-premium Magical Rainbow dog bandana with metallic pots of gold! A perfect Magical Wizard Bow Tie with a bit of sparkle! 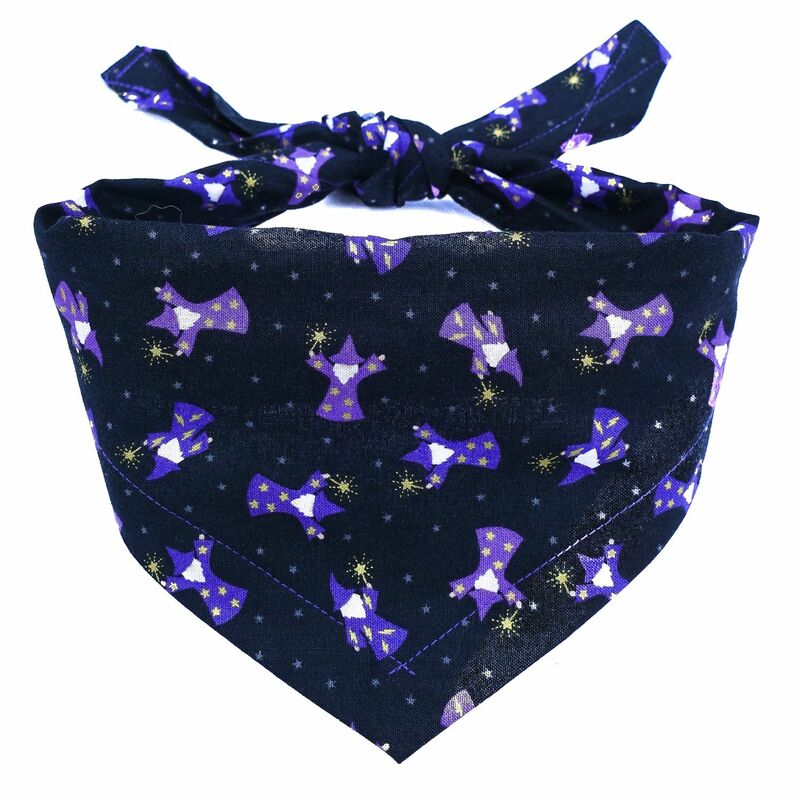 A beautiful Mystical Mermaid dog bandana, this will make a super-special addition to any fashion conscious Dudiedog's wardrobe! This is such a pretty Unicorn dog bandana, I know it won't be around for long, so grab one while you can!